These Tencel ‘n Merino Grab Bags are from different batches of 50% tencel /50% merino fiber blend that I hand-dye. 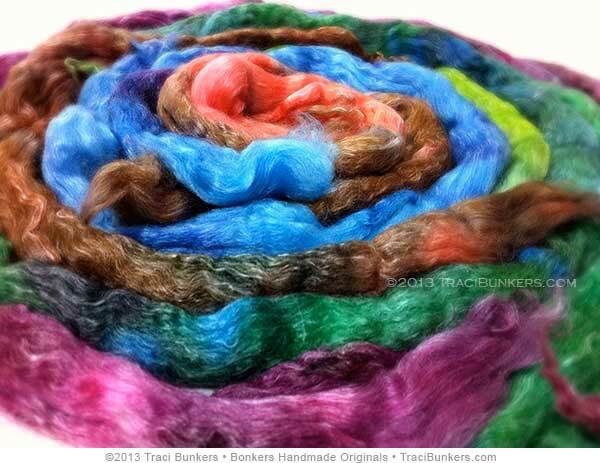 Each grab bag is 4 oz of fiberlicious goodness. This blend is very soft and spins like buttah. The tencel gives the fiber a nice overall sheen. 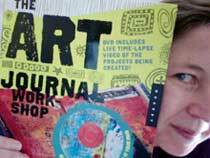 I hand-dye the fiber with professional acid dyes that are colorfast and washfast. When spinning this blend, it needs more twist than 100% merino because the tencel is slick. Each grab bag is different, so it may have different colors than is pictured. 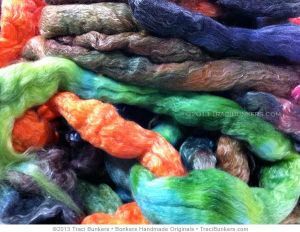 The pictures are just to give you an idea of what one of my tencel ‘n merino grab bags looks like. 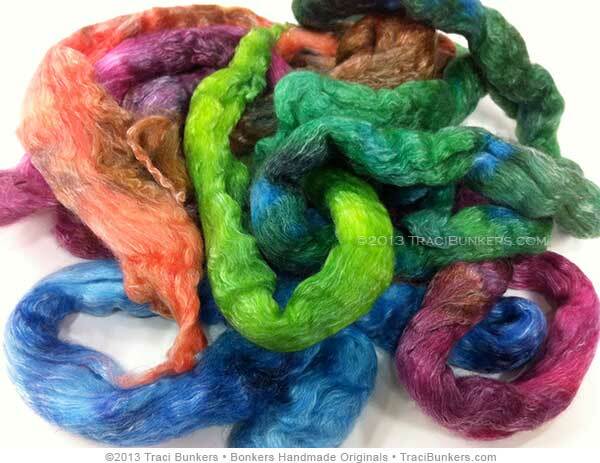 The first two photos show 4 oz of fiber, which is the amount in a grab bag. 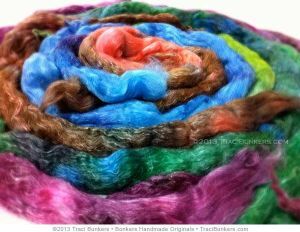 Products related to "Hand-dyed Tencel 'n Merino Spinning Fiber Grab Bag"